Maybe you’ve seen these in restrooms….green toilet handles. Not a practical joke. A wizbang invention! We’ve all seen and used the low-flow toilets over the last 2o years and, well, they stink. They clog easily and don’t do a good job. Someone came up with a new valve system that gives you the choice to pull up for low flush, push down for heavy flush. Think #1 vs #2 here, folks. How come it took soooooo long for this to be invented? Awesome, Awesome, Awesome. How does this relate to real estate investing and rental properties? The next time you are at your rental or looking to buy a rental, become more observant about how you can eliminate future property condition problems by coming up with a better solution now. 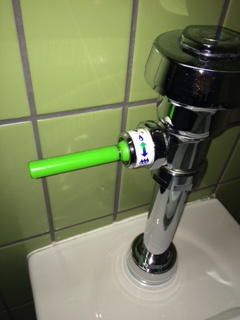 In the case of the green toilet handle, it saves both water and sewer bills and the environment. It also removes most of the problems with clogged toilets, hence fewer plumbing emergencies to snake a line. 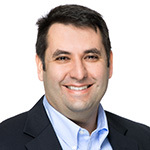 Dan Baldini is the Founder of Polaris Real Estate and the Executive Property Manager of Polaris Property Management, LLC.